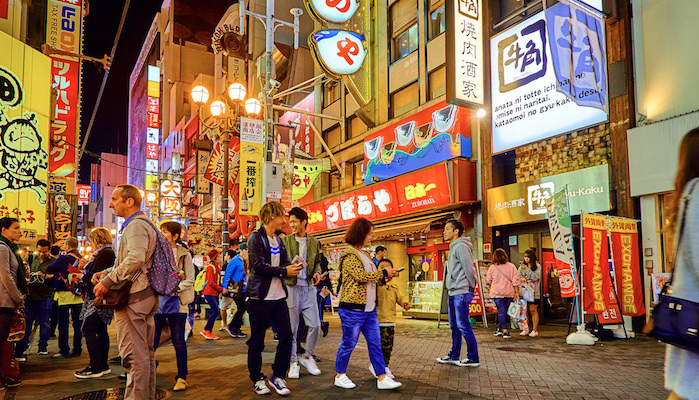 Osaka, capital of the Osaka Prefecture, is the second largest city in Japan — an important economic hub known for its foodie culture. 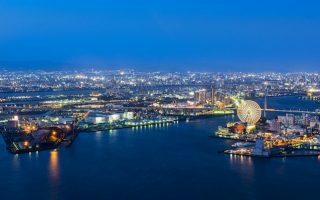 Situated at the mouth of the Yodo River on the west-facing port of Osaka Bay, coastal Osaka is sometimes known as the “Water City.” Along with its many satellite cities, the metropolitan area of nearly 20 million is a flat sprawl where humid, busy streets. 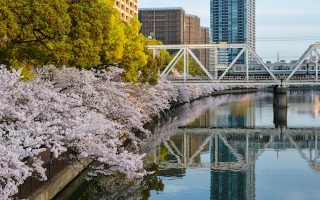 Your best bet for running in Osaka is to go to a specific spot, enjoying the manicured parks, beautiful waterfront paths, and colorful natural spaces. 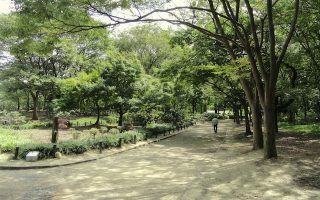 Most runners flock to popular parks like the Osaka Castle, Nakanoshima, Nagai, and Tsurumi Ryokuchi to run in green spaces protected from traffic. Other runners put in their mileage along the long paths of the Yodo River, the Ibaraki River, or the waterfront of Osaka Port. 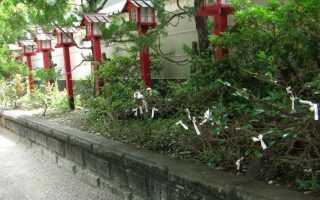 Or, explore history and religion on a tour of the shrines of Tennoji. 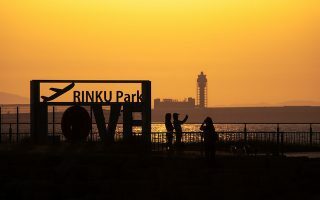 Near the airport, there’s wonderful waterfront running from Rinku Park, heading south with views to Osaka Bay. Osaka has an extensive public transportation network, making it easy to get to favored running spots. For visitors, the subway/train is the easiest and most affordable method for getting around town. (Taxis are somewhat expensive, and the bus system is a bit difficult for non-locals to navigate). Get a prepaid stored value car for the train and make your way to all of Osaka’s great running routes! Special thanks to the Kaizuka Running Club for their help with this guide. Be sure to check them out if you’re in town! This historic castle is surrounded by a gorgeous, seasonally changing park with 4 km and 3 km running tracks. 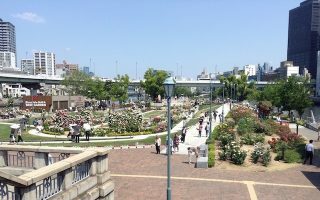 A waterfront park on an island in the O River, Nakanoshima Park features gardens, skyline views, and plenty of opportunity to extend your run. A 13 km out and back explores the waterfront of Osaka “Water City” through ports, fishing docks, and bridges. Another favorite running location for uninterrupted waterfront views is the dike of the Yodo River, the largest waterway in Osaka. The expansive greenery of Nagai Park is a popular spot for activities of all sorts — including a 2.8 km flat asphalt track. 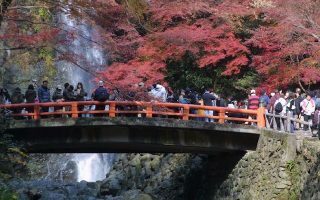 Run the flat paved Takimichi trail which runs 2.7 km one-way from Mino Station to beautiful Mino Falls. 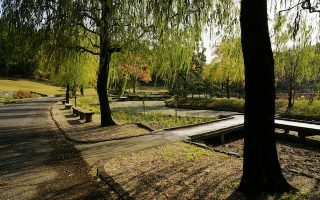 This 2.8 km linear park in Ibaraki is known as the “Green Tunnel” for its vibrant vegetation surrounding the reclaimed banks of the Ibaraki River. Explore 80 temples in an 8 km running route! 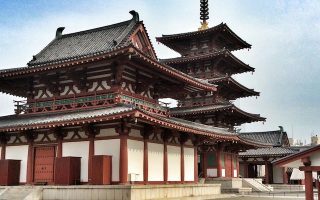 Lovers of history and culture will delight in this 8 km one-way route, which explores the many temples of the Tennoji ward. Mix of paths and roads. Can easily do one-way using transport. Tsurumi Ryokuchi Park, or “Citizen’s Rest,” is an extensive botanical garden with a 4.5 km promenade around the park. 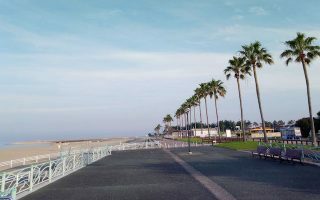 This is a favorite "home route" of the Kaizuka Running Club, located along the waterfront of Kaizuka city about 40 minutes south of downtown Osaka. 5 km. Run through former Worlds Fair grounds in this 264 hectare park with beautiful gardens. A perimeter of the park is 5k, but there are also good interior options. 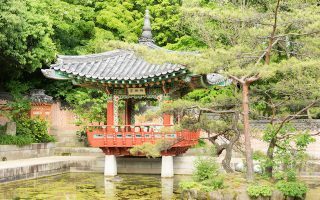 There are numerous museums, a Japanese Garden, and other sites. A perfect waterfront sunset run near the Kansai Airport in Izumisano City. Multiple options, including ~7 km or ~11 km routes along mainly waterfront paths. Osaka has a humid subtropical climate, with hot summers and mild winters. Runners should be aware of summer’s are heat and humidity, with average highs of 33C (92F) and sultry nights. Winters are mild, with average high temperatures near 10C (50F), and lows dipping into the 30s. Fall and spring are warm. Osaka gets its share of precipitation, with June being the wettest month. Osaka is a large and sprawling city, and popular as a business and visitor destination. 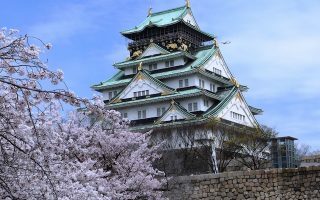 For good routes right out your door, in central Osaka your best bet is to stay near Osaka Castle, where there are good park and path options. You can also try to stay near the Yodo River paths. The Ibraki area has good hotel options and nice running around a linear park and the Expo Park. Sporting goods stores are prevalent around Osaka. Check out Tiger, Bigstep, Nike, and ASICS. The Kaizuka Running Club and Runnet Global are local running clubs with great route advice. We especially than the Kaizuka Running Club for their help in putting together this guide. The Osaka Marathon, held in November, is by far the most popular race in the city, but a list of other events can be found at Runnet Global.